… the worst day fishing is better than the best day at work. Same thing holds for photography, as it turns out. Last weekend, with my foot still a bit sore from a hike a couple of weeks ago, I headed up near Gorman (Forest Service Roads 8N04 and 7N23, to be exact) to do a little back-country exploring. Mostly I wanted to head up some 4WD roads to some meadow areas I’d scouted last fall that I’d hoped would have wildflowers. There were some sections that were in bloom, though not as much as I’d hoped (and not as much as in previous years, according to another photographer I talked to), but there was a few patches here and there. The day was cold and windy, causing the poppies to close up. They’re rather sensitive to wind. And cold. And cloudy days. Well, you get the idea. 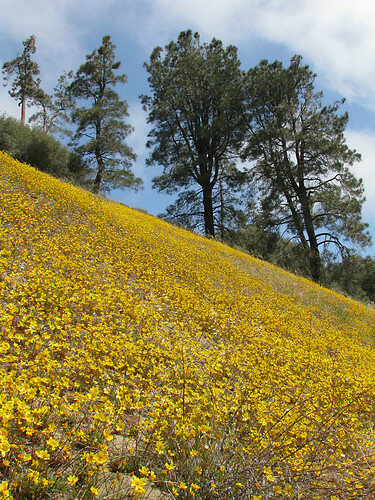 But yellow flowers were out in bloom, and patches of lupine here and there. So, the photography of hills covered in nothing but flowers wasn’t to be. 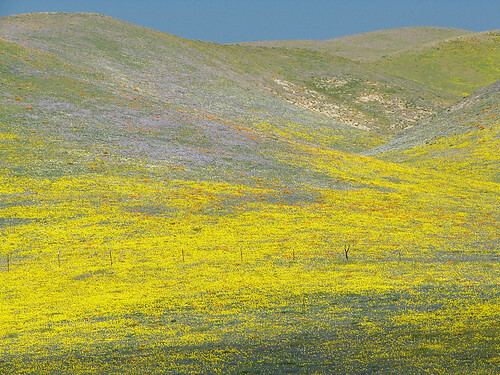 Ahhh … I miss the California wildflowers. Great pictures. Beautiful, esp. 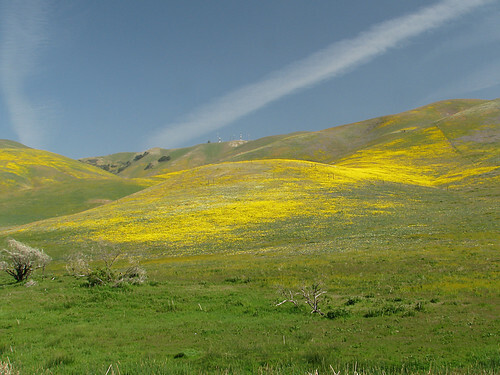 the painted (by flowers) hills! These are breathtaking!! I absolutely love what you’ve captured here. My favorite is the one of the diagonal hillside. These are great photos!!! Do you make silly faces when you take photos of stuff? 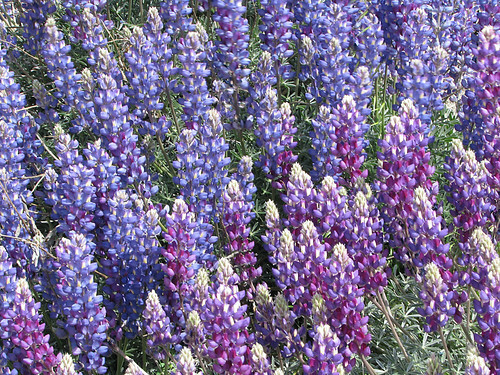 The lupine have been on a bunch of my hikes this year, I love them. 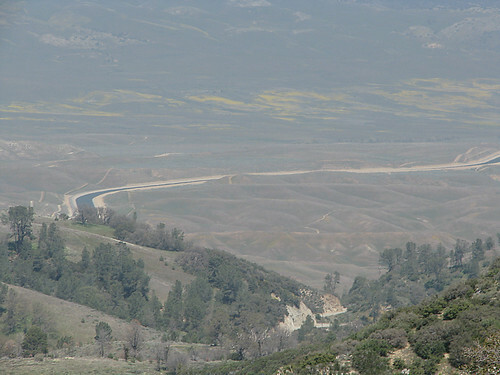 Nothing like Ive seen up in San Ynez though, where the hills are purple because of so much lupine. found your wonderfull sight via a search for red rocks. pics and stories are great! on a serious note: i wonder if you know that the 4wd roads at red rocks could be shut down by the California Parks dept? many of the great dirt roads that haunt the mojave are in danger of being closed. visit my wordpress sight for more info and i hope i can use some of your photos there! These are GORGEOUS! Definitely better than work! Though I uncovered a way to be outside AND work this week. I hope you don’t consider those bad photographs? Maybe it was just bad conditions while shooting – but those pics looks great to me! Those photos are fantastic! So much better than being at work. I think the closed up poppies have a beauty of their own. Homer-Dog – They can be spectacular. No wildflowers on the prairies? K – Thanks; imagine what a banner-year looks like! Spleeness – Aw, shucks, thanks. Tim – I have heard about that; my understanding is that it is still up for debate by the State. As for the photos, please contact me directly regarding their use on your site. 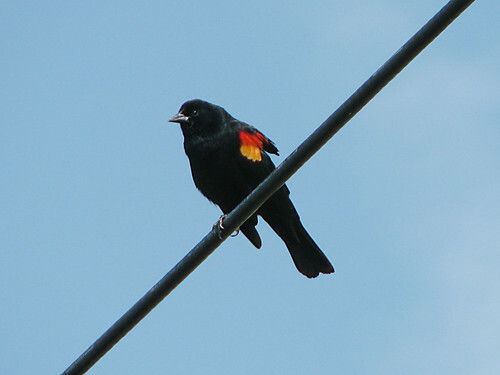 David – The photos are okay, but they’re snapshots rather than great photography. The wind and the flat lighting didn’t help matters much. 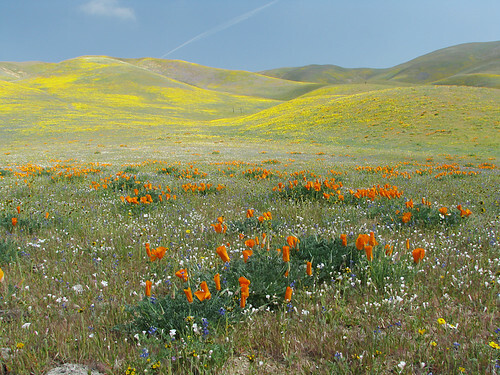 AWWWW…..I miss the orange poppies!